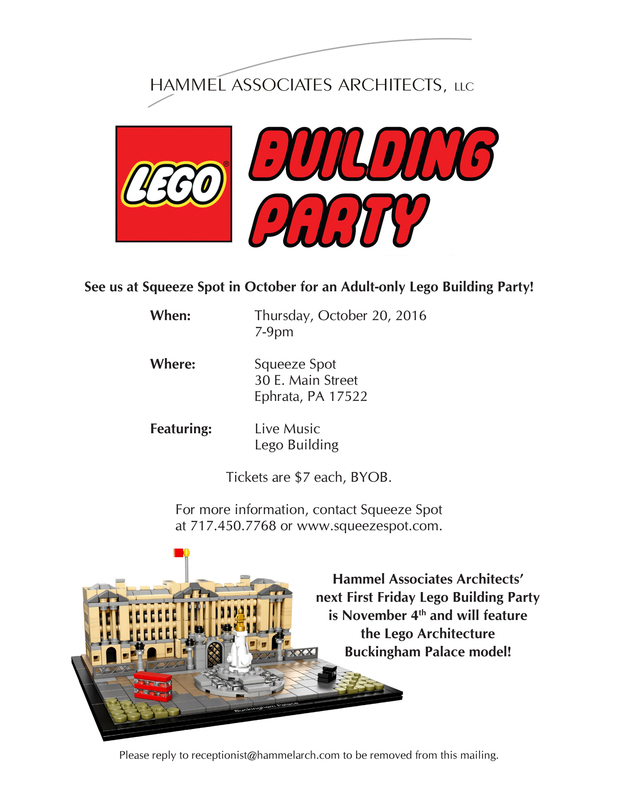 See us at Squeeze Spot in Ephrata for an adult-only Lego building party! This BYOB event will feature live music in addition to Lego building. The party gets started at 7pm on Thursday, October 20, at Squeeze Spot, 30 E. Main Street, Ephrata, Pa. Tickets are $7 each, for more information contact Squeeze Spot, 717.450.7768 or www.squeezespot.com.